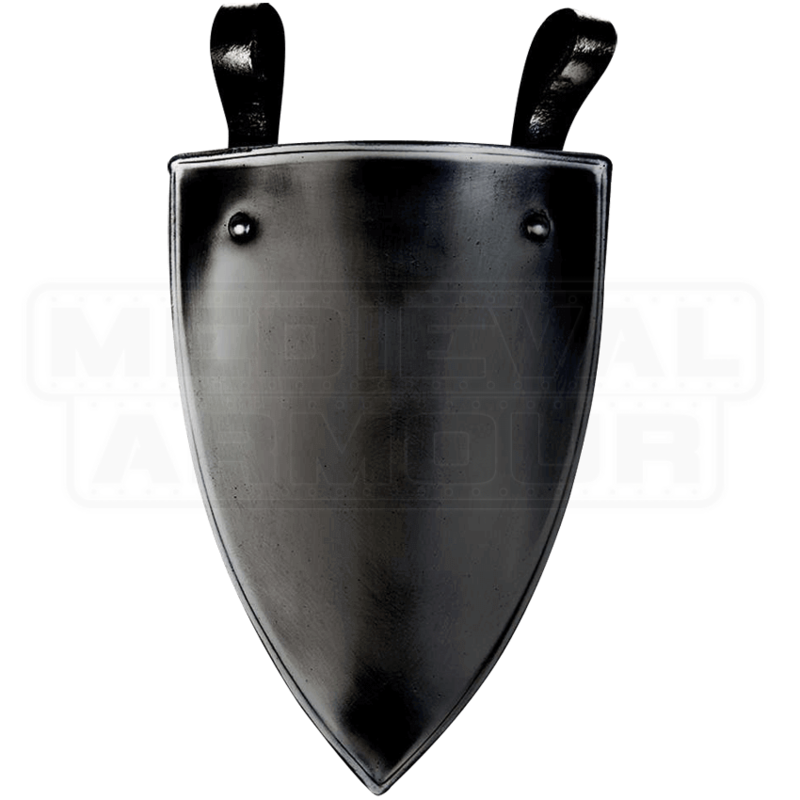 Add an extra element of protection and style to your LARP armour and reenactment looks with the Blackened Gustav Shield Tasset. Attached to belts via two leather loops, this triangular shield is made of blackened 18 gauge steel. 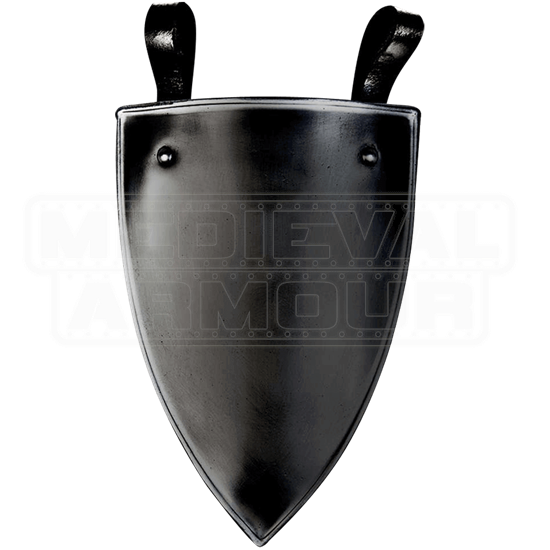 Featuring a classic, unadorned style, this shield is incredibly versatile and will suit any number of historic looks, particularly those with a darker element to their aesthetic. For the extra crafty, it can also serve as a great base for self-customization, such as decorating with personal heraldry.